Hair Straighteners. Available in: Black, Red, Blue. Minimum Quantity: 10. Electricity is of the greatest invention by the mankind. The widespread use and need of electrical products are indispensable in any individual's life. 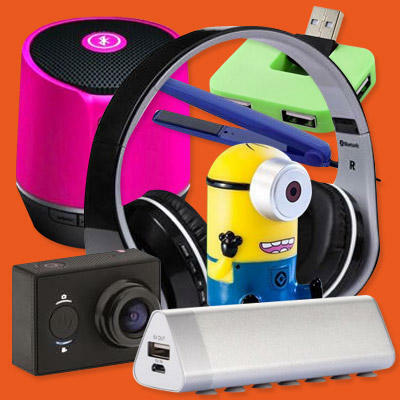 The promotional custom-logos on electronic products are an effective way of communicating your brand message. We have innovative products like Power banks with suction cups that also serve the purpose of a phone stand, Ipad stands folders in leather, USB cables with key ring chains, Bluetooth headphones in catchy colors, digital car cameras, speakers and the Weather stations. The list is endless. The age group of your target audience does not matter as the electrical products are used by individuals in all age groups. We have a knack for providing right kind of promotional products, through beautiful designs and print media.